MEET RI -KATIE-- Katie found herself lost and in the shelter in Tn. Luckily they knew that Oodles of Doodles will help. 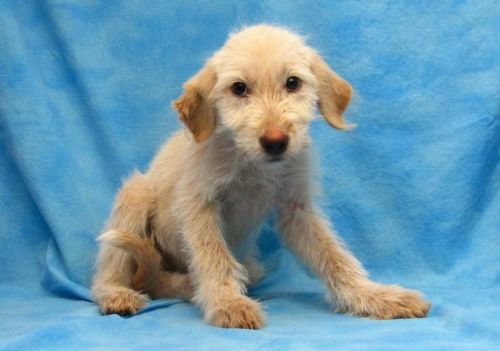 Katie is only 12 weeks old and is a bit fearful of people, but she does warm up quickly. We need a special adopter who will be loving and understanding and help Katie get to the place in life to be all she can be. She is UTD and spayed. Presently she is at a foster home in the south who has begun to socialize her. She is still a puppy and should learn quickly as she is a sweet gentle dog. She will be living up in the RI area at a foster home and will continue her socialization with us. If you have the patience, love and understanding then please fill out our application. No small young children please....and a fenced yard please.